For the latest updates visit the project blog. For technical information on setting up ground stations visit the project wiki. Our goal is to dramatically lower the cost of spaceflight, making it easy enough and affordable enough for anyone to explore space. We can do this by shrinking the size and mass of the spacecraft, allowing many to be launched together. The Sprite is a tiny (3.5 by 3.5 centimeter) single-board spacecraft. It has a microcontroller, radio, and solar cells and is capable of carrying single-chip sensors, such as thermometers, magnetometers, gyroscopes, and accelerometers. To lower costs, Sprites are designed to be deployed hundreds at a time in low Earth orbit and to simultaneously communicate with a ground station receiver. KickSat is being planned as a technology demonstration mission for the Sprite spacecraft. It is a 3U CubeSat that will house a 1U avionics bus and a 2U Sprite deployer. KickSat will be launched through NASA's ELaNa program and will carry over 100 Sprites into an orbit with an altitude between 300 and 350 kilometers where they will be released as free-flying spacecraft. 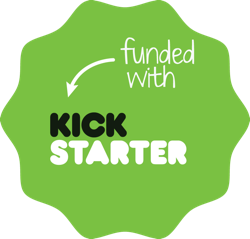 Initial funding for KickSat was raised on Kickstarter.com. Thank you to all of our backers who are helping make this project a reality - it wouldn't be possible without your support! The KickSat project was founded in 2011 by members of the Space Systems Design Studio at Cornell University. It is an outgrowth of research on small spacecraft that has been conducted there since 2007. The current project lead is Zac Manchester, a PhD student in Aerospace Engineering. Regular updates as well as more background information are available on the project's Kickstarter page. As an open source project, all of our code and design files are freely available. The primary source for technical information on the KickSat project is the project wiki. Academic publications are listed on our research group's website.